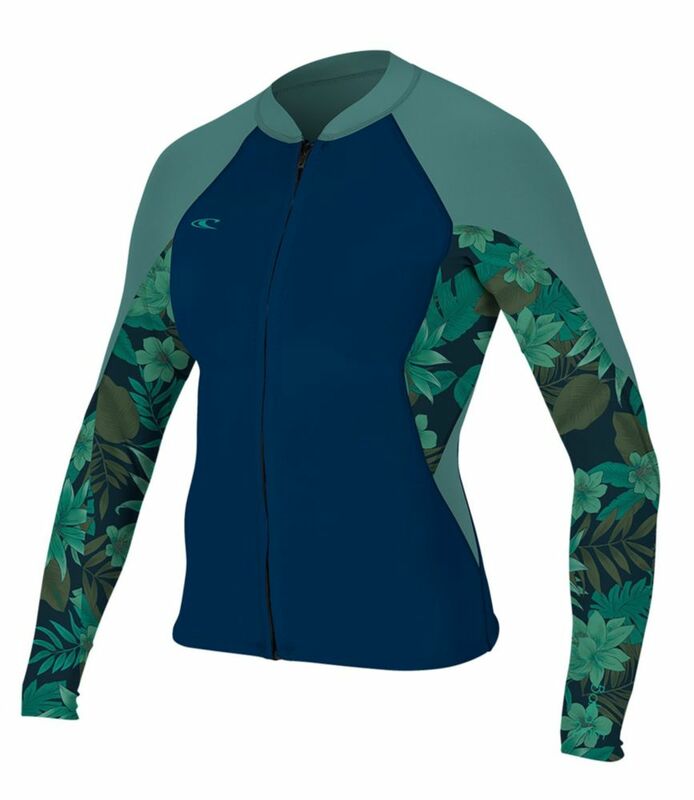 Designed specifically to fit a woman's shape, the Bahi Full-Zip Wetsuit Jacket is great for surfing, stand up paddle boarding, kayaking and other water sports. When you get too warm, it's easy to zip off so you can cool down. Chest and back: 1 mm neoprene. 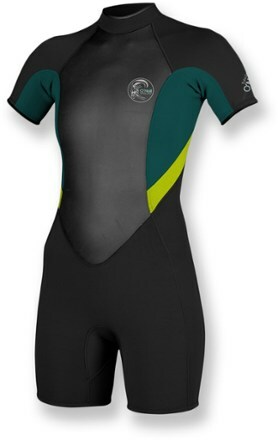 Sleeves and under arms: .5 mm neoprene. Handwash, line dry. Made from 100% UltraFlex DS neoprene. Superstretch technology allows 200% stretch to create exceptional ease of movement. 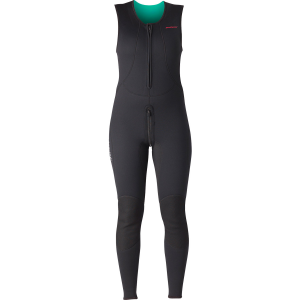 Flatlock stitched seams prevent chafing. Double super seal at the neck is adjustable and watertight. UPF 50+ sun protection. Full-zip front for easy on and off. Imported. 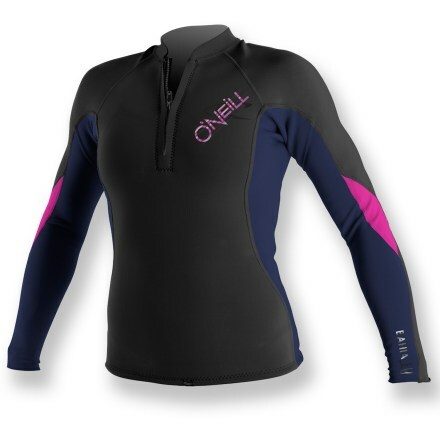 Stay out longer and have more fun in the women's O'Neill Bahia Full-Zip Jacket. It offers an extra line of defense against unwelcome chills on the water.